Residents in U.S. states that have legalized marijuana should toke up while they still can, New Jersey Governor Chris Christie said. 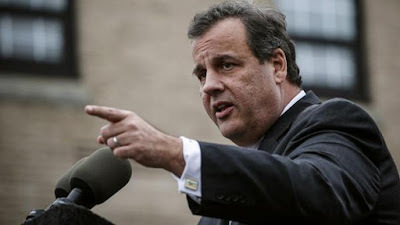 “If you’re getting high in Colorado today, enjoy it,” Christie, a Republican campaigning for the 2016 presidential nomination, said Tuesday during a town-hall meeting at the Salt Hill Pub in Newport, New Hampshire. “As of January 2017, I will enforce the federal laws.” At a time when a majority of Americans say recreational pot use should be legal, and four states have already made it so, Christie remains opposed. The former federal prosecutor said Democratic President Barack Obama has selectively chosen which laws to enforce. Christie is trying to pump up his candidacy ahead of the first Republican debate on Aug. 6 by talking to voters in New Hampshire, the state with the first primary. Christie currently ranks ninth in the GOP polls.